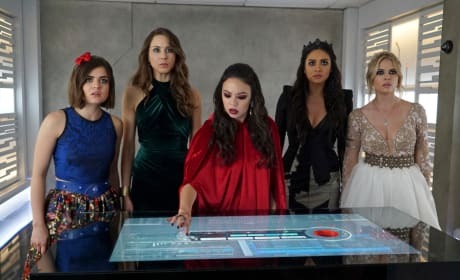 The Liars band together to protect one of their own on Pretty Little Liars. "The Glove That Rocks the Cradle" is the 16th episode of the show's seventh season. 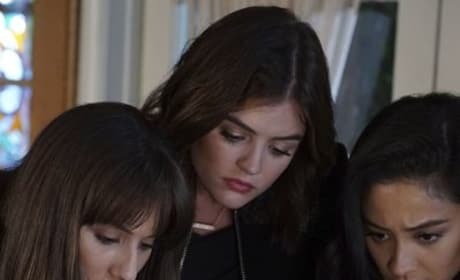 The ladies try to figure out if a high school student could be involved in A.D.’s operation on Pretty Little Liars. "These Boots Were Made for Stalking" is the 12th episode of the show's seventh season. 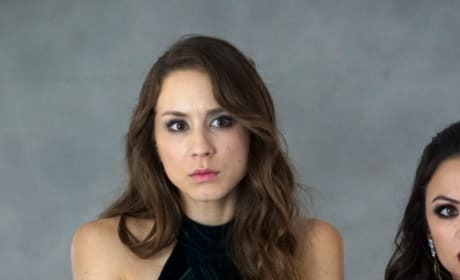 It doesn't look like Spencer will be getting on with Toby's new girlfriend. You could cut the tension with a knife. Toby and Spencer in the same room. 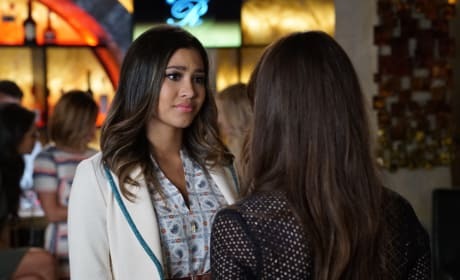 I wonder if she's giving him the details on her hot hook up with Caleb. They are both having a heart-to-heart, but you just know there's going to be way more drama between them once Uber A starts his/her reign of terror. 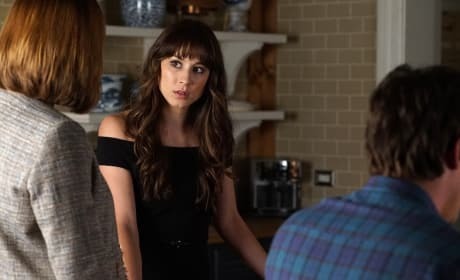 Spencer does not look impressed in the slightest about what's going on, but we really need to know what's going down in Rosewood. Veronica Hastings does not beat around the bush. 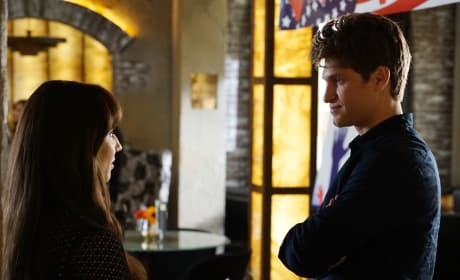 I'm willing to be she's grilling Spencer and telling her to stay out of trouble in fears that it tarnishes her campaign. The gals are taking a break between filming their scenes to give us this photo of them smiling for us. 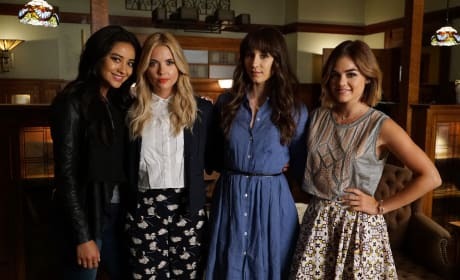 Spencer doesn't look nearly as uneasy as any of the other liars, could this mean that someone close to her is part of all of this sick game? Hello, Melissa AKA Black Swan? So many questions, yet so little answers! Considering we know Ali's already met Charles and knows his identity, this might spell the reveal of Black Swan or Red Coat. The look on the gals faces are a picture, right? They look shocked to the core. The gals might look like they are in a Syfy show, but it's clear they are in search of answers. Anyone else willing to bet that this is the vault that is in the building Rhys works in? Either that or A has taken them in a time machine into the future. 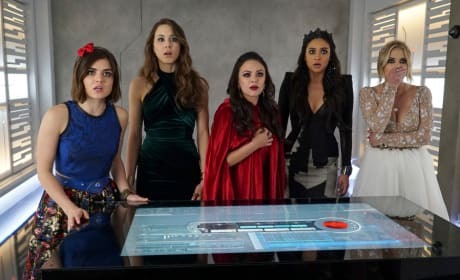 Also, could Mona be the person in red we saw chasing Ali last week? It would make A LOT of sense since she was nowhere to be seen.